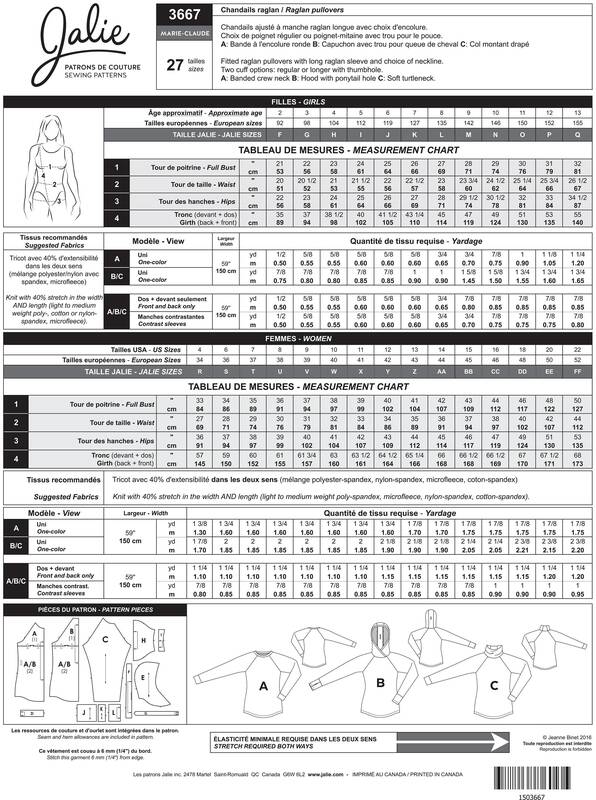 Package includes patterns and instructions to make fitted raglan pullovers with long raglan sleeve and choice of neckline. Two cuff options: regular or longer with thumbhole. View A: Banded crew neck. View B: hood with ponytail hole. View C: Soft turtleneck.